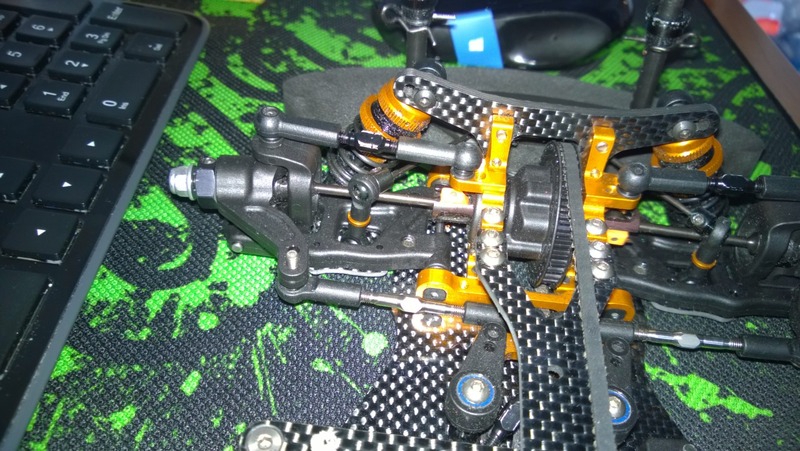 FS:Xray T4 2014 w/ ECS, CF Arm Plates, Ti Hardware, and Front diff - Race Ready! 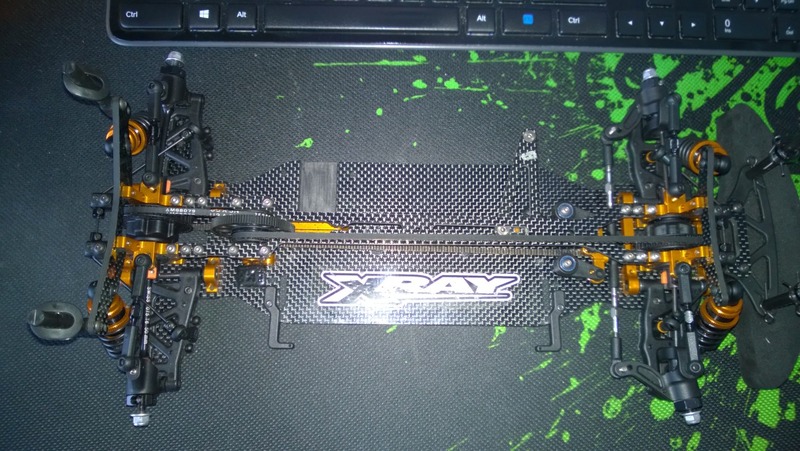 I am selling a ready to race (just add electronics) Xray T4 2014. This car is in great shape and was run for about a month in stock class racing on carpet only. I am selling because I have a few other cars (another T4 2014 and an Awesomatix) and I need to thin the herd. Front diff with steel outdrives. The diff alone is worth $100. It is loaded with Gravity 2.5M goo. RSD ECSs up front, and Roche blades. Optional carbon arm stiffeners for the 2014 arms. And RSD sway bar collars. 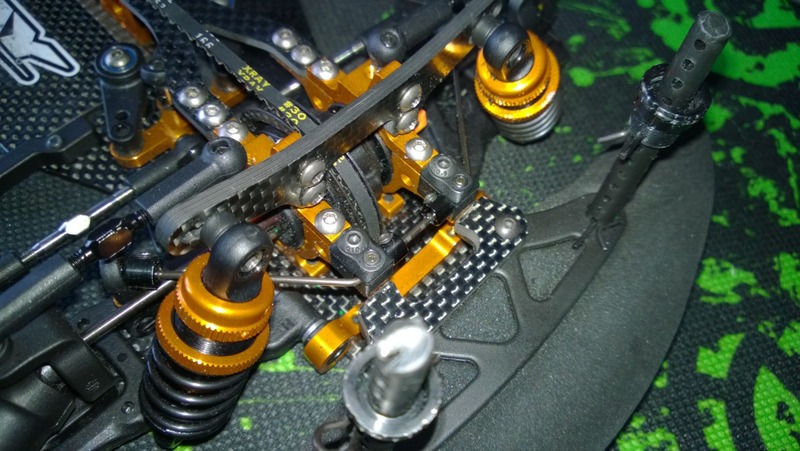 Ti hardware on the car including the steering links. 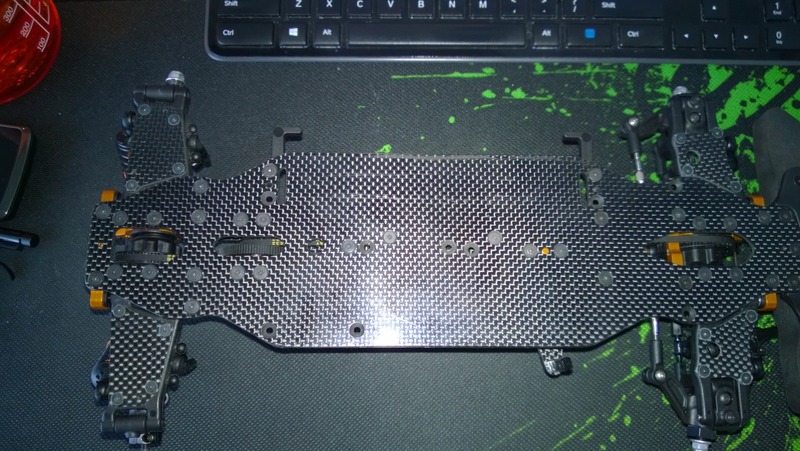 Chassis was properly sanded, and glued before use. Front bumper brace and CSO hard front T4 bumper. The car comes with the standard parts (like the roll center inserts, shock pistons, etc..), and I will include one extra front and rear arm. What it doesn't come with is a Servo saver. You will need to supply one. I am asking $500 for the car, shipped to the lower 48 (shipped FedEx Next Day Air). This is close to the retail price for a new car, but comes with ~ $200 in upgrades already on it. Payable through Paypal. PM me if interested. PM me if interested, Paypal only. Last edited by Clegg; 03-10-2014 at 04:30 PM. Bump! Dropped the price a tad. Also when this is purchased it will be shipped FedEx Next Day Air anywhere in the lower 48.